Get a free valuation on your home now! 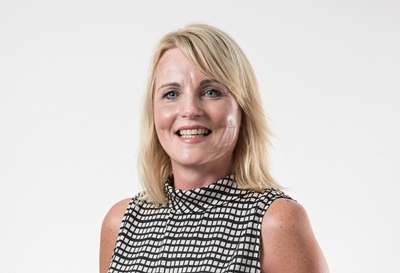 Harriet Stacy-Marks, Principal and Sales Manager from Mayfair Beaminster, volunteered at the recent Beaminster Youth Club Summer Fun Day held on Saturday, 17th June. The event took place at Beaminster Memorial Playing Fields and had stalls, games and live music, with the aim of raising money for Beaminster’s Youth Club, ‘The Phoenix’. 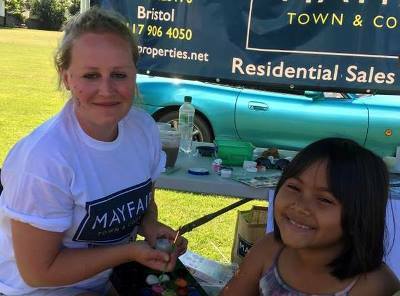 Harriet volunteered to run the face-painting stall, painting the faces of 36 children to raise money for the club; a charity Mayfair Town & Country actively supports. 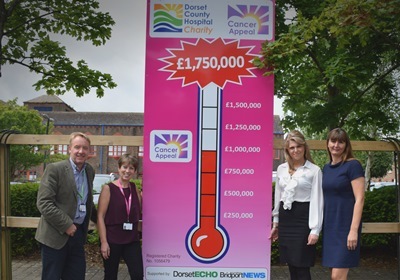 Mayfair Town & Country's Dorchester (Poundbury) office have announced a new relationship with Dorset County Hospital, which will see them donate a portion of their fees to the hospital Charity’s Cancer Appeal. The team will be donating £250 for every house sale that completes through their Poundbury office from June until the end of 2017. 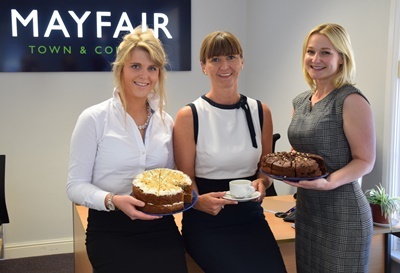 Mayfair’s staff will be raising money throughout the year with a programme of ongoing activities, ranging from sponsored walks and afternoon teas, having held the first of these successfully at the end of May. All of these are designed to spread the message of the Cancer Appeal campaign. It is hoped the overall partnership will assist the Appeal in getting closer to their fundraising target of £1.75 million. UK home buyers borrowed a whopping £11.2 billion in March. Whilst down on this time last year due to the changes in stamp duty and its consequential ‘boom’ of buy-to-lets, this figure is substantially up on those for earlier this year. 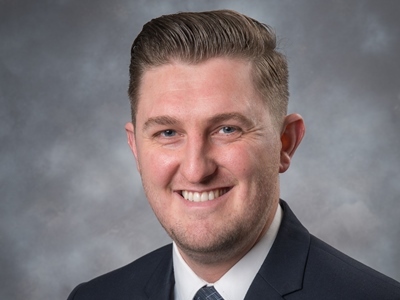 The data was produced by the Council of Mortgage Lenders and, although referring to March, it can be seen as no less encouraging as a comparison to other less positive reports that have surfaced, only providing mere snapshots of the current market. Mayfair Town & Country raised £149 for the Dorset Hospital Cancer Appeal after holding an afternoon tea recently. Staff at the Dorchester (Poundbury) office served an array of tasty homemade cakes and invited friends, family and local residents to attend and raise money for the charity. The cakes were supplied by Café Octagon, who are located on Pummery Square. Mayfair Town & Country have noticed that more and more people are opting to sell their property in Bristol and move to Weston-super-Mare. Why is this? Well, despite Bristol having recently been voted the best place to live in the UK by the Daily Mail, property prices in the city have soared over the years and many now want more for their money. With much investment being put in to Weston with its recently regenerated seafront and work well underway for the new developments at Dolphin Square and the Italian Gardens, Weston is becoming increasingly popular for city commuters, families, and those simply looking for a better pace of life. © Mayfair Town & Country. All rights reserved.